Clark Gilder and Jeff Hoffman are Executive Board Members. Stuart Dunkin is a strategic visionary who leads by calling on his broad range of experience as a former retail executive as well as a consultant for top retailers and for the E3/JDA software company. He founded Data Profits to solve a real-world problem plaguing retailers today–the disjointed relationship between supply chain data, people and business goals. He has experienced first-hand the challenges and frustrations that occur when decisions are made based on wrong data, which often leads to the wrong actions being taken with crippling results like overstock, out-of-stock, and increased working capital. Stuart Dunkin is the “Inventory Guy” because of his expertise in inventory management, which comes from working for companies with complex global supply chains, including Wal-Mart and Upton’s. His goal is to simplify the data to executives, replenishment analysts, warehouse managers and vast wholesaler networks. Stuart attended Auburn University for a Bachelor of Science degree in Business Administration. He continued his education at Emory University, the joint Masters of Divinity and Masters of Business Administration. 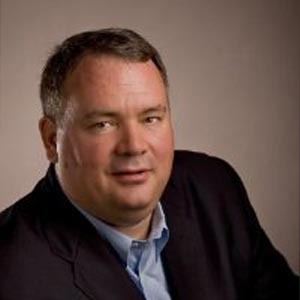 Clark Gilder is an Atlanta-based angel investor with extensive software industry experience who brings creativity and insight into the application of technology to business problems. During the 12 years he spent at Microsoft, he delivered high-performance results in various operating roles, including Technology Evangelist and Lead Program Manager on the Windows development team shipping Windows 2000, Windows XP and Windows Server 2003. His accomplishments include being a two-time winner of the Microsoft Windows Division “Gold Star” award and being one of the very first Microsoft Certified System Engineers in the World. Currently, Clark serves on the boards of the Atlanta Technology Angels (ATA) as well as being Chairman of ZeeWise, along with serving on the board of advisors for a number of Atlanta startups. In addition, Clark is the CEO and driving force behind his own early stage technology company, GSF, which is building a next generation electronics payments product that utilizes innovative and patented paperless check technologies. 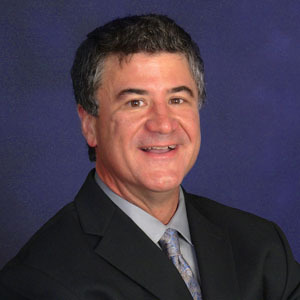 Clark joined the software industry after graduating in 1987 from The Georgia Institute of Technology with a degree in Systems Engineering, and a focus in Operations Research. Jeff Hoffman is an accomplished entrepreneur and innovator in the fields of internet, e-commerce, and media/entertainment. Having launched his first software company while still a student at Yale University, Jeff has founded and grown a series of successful startup companies in his career, raising independent financing for his ventures and guiding his companies to both acquisitions and public offerings. Jeff recently served as the CEO of uBID.com. uBid.com specializes in the liquidation of excess inventory from major brand name companies, including Sony, HP, Dell, and others, and has sold over $2 billion worth of computers, consumer electronics, jewelry, apparel, collectibles, and more. Enable Holdings is a public company, and, under Jeff’s leadership, expanded globally to serve an even larger market of businesses and consumers. Jeff’s first start-up was a software company in the travel industry named CTI, a company that quickly became the industry leader in technology for the travel and tourism industry, and was later acquired by American Express. For his achievements, Jeff was named one of the industry’s 25 Most Influential Executives. Jeff was also a founder of early e-commerce pioneer Virtual Shopping, Inc., which developed patented, proprietary software and hardware for online retailing on the Internet, and was later acquired by Europe’s Wallenberg Group. More recently, Jeff was a founder and CEO in the Priceline.com family of companies, where Jeff held two CEO titles and led the development and launch of Priceline’s consumer company. Jeff also served as an executive in Walker Digital, the parent company of Priceline and one of the country’s most innovative creators of intellectual property and new business models. Jeff Hoffman is an accomplished professional and motivational speaker, featuring topics such as branding, innovation, and business leadership. Jeff has spoken at conferences and symposiums in over 40 different countries.